It’s about time for a blog post on one of the great loves of my life. No, I’m not talking about J, as I’m sure you, and he, will be relieved to hear. Instead, this blog post is an ode to a TV show that has kept me going through my darkest times and whose characters have grown to provide the warm familiarity of friendship when I don’t want the company of others. ‘The Office’ (US version, despite my being British) holds a special place in my heart. Its characters are flawed and idiosyncratic and loveable and I return to them again and again in the knowledge that they will always make me laugh. Of course, being autistic, I return to them again and again in precise chronological order, missing no episode out, appreciating the comfort of predictability as well as all the joys the show brought me the first time around. Here's a selection of Dwight best quotes - obviously *spoiler alert*! Really, what I’d like to write about today is about autism in ‘The Office’. It’s never mentioned by name, but if you’re reading this and you’re an avid fan like I am, you’re may already know where I’m going with this. 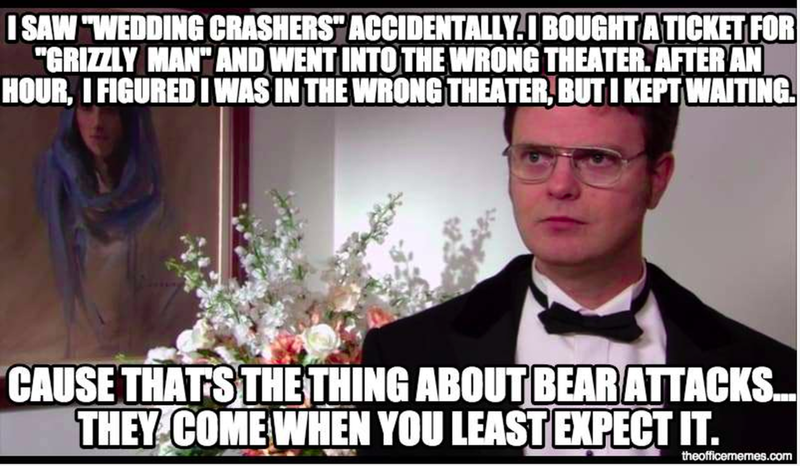 One of my favourite characters in the show is Dwight Schrute. Dwight is one of those ‘obvious’ favourite characters – the ones that everyone loves so much that you risk overlooking if someone asks who your favourite is. I think that’s because he is so synonymous with the show and so integral to its appeal that after the first few episodes, you take him for granted. But Dwight holds a special appeal for me. He is dedicated, fastidious, and eccentric, and sometimes considered by fans, including myself, to be autistic. Dwight is often misunderstood by his colleagues. We laugh at his eccentricities. But we love him for who he is. And, once they get to know him, so do the other characters in ‘The Office’. Some people argue that Jim (and sometimes Pam) take their practical jokes too far and are mean to Dwight. I’m not the best person to comment on this because I hate practical jokes and think they’re all mean. But whatever your opinion on the practical jokes, it’s certainly true that, over time, Jim and Dwight develop a friendship and truly care for each other. It seems to me more of a brotherly relationship most of the time – they drive each other crazy but ultimately are very close. I love Dwight’s portrayal in the Office, not just because he’s hilarious but also because he is loved for who he is. I recognise parts of myself in him and it’s fun to see some of my own quirks played out on TV. He is generally, whether due to confidence or obliviousness, happy to be himself and doesn’t bend to social norms. And he reminds me to do the same. P.S. Michael Scott is also quite clearly, to me anyway, neurodivergent. But that’s a post for another day.